1) Aesthetics: These come as smaller disk, light brown predominates with some dark tobacco in the center, but much of it is already broken up. This looks really good in the tin. 2) Pre-light Construction: I rubbed this out, simply because it pretty much fell apart. It has some sweetness and nutty notes to the nose. It is fairly moist, but not soggy. I loaded it up without drying out just to try it as is. 3) Post-light Construction/How it smoked: It takes to a match easily, burns evenly and fairly cool. It did produce a bit of a gurgle fairly quickly, but that was expected given the moisture content – a pipe cleaner took care of it right quick and it remained dry smoking after that. 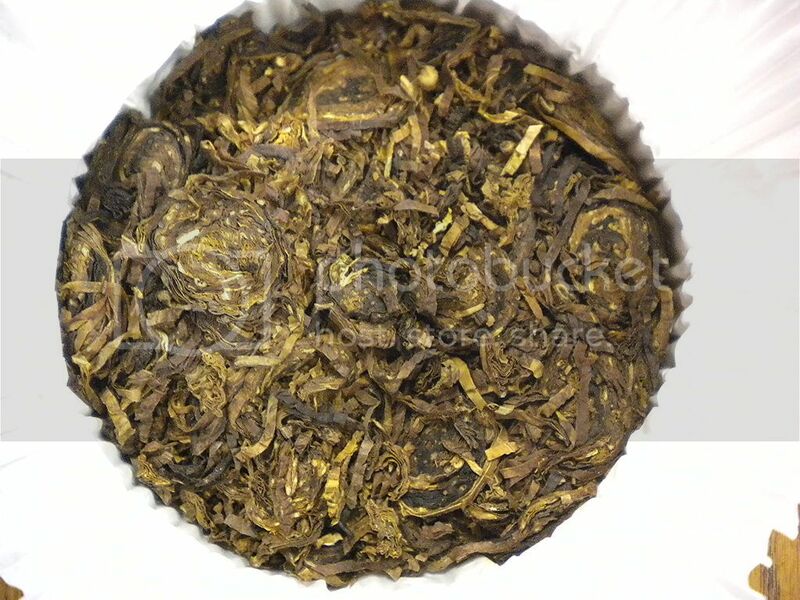 4) Flavor and strength: This is a fairly simple and straight forward tobacco. While there are some Virginias in here, the burley seems to dominate. Slightly sweet, but more nutty. And easy smoke and fairly light on the palate, with a bit of woodsiness to it. 5) Aftertaste/Finish: The finish was ephemeral, fading very quickly. It was simple tobacco. 6) Aroma/Room note: Again, simple tobacco. It was not unpleasant, just sort of mild, bordering on boring. 7) General Comments: I smoked this while sipping some water and some Angel’s Envy, it had more flavor with the water than the Bourbon. It was a pleasant smoke, but nothing that “WOWed” me. 8) Recommendation: I have a whole tin to smoke, so I’ll hold off till after a few more bowls. I do not know that it is a blend I will reach for often, but it was a nice change of pace. I'm a pipe newb, so take my side of this series for what it's worth. If there's a tie, or any question in your mind, you'd probably be better served to go with Rev's opinions here. Regardless of my experience, I am eagerly anticipating doing this series of eleven (or more) reviews with the Rev. 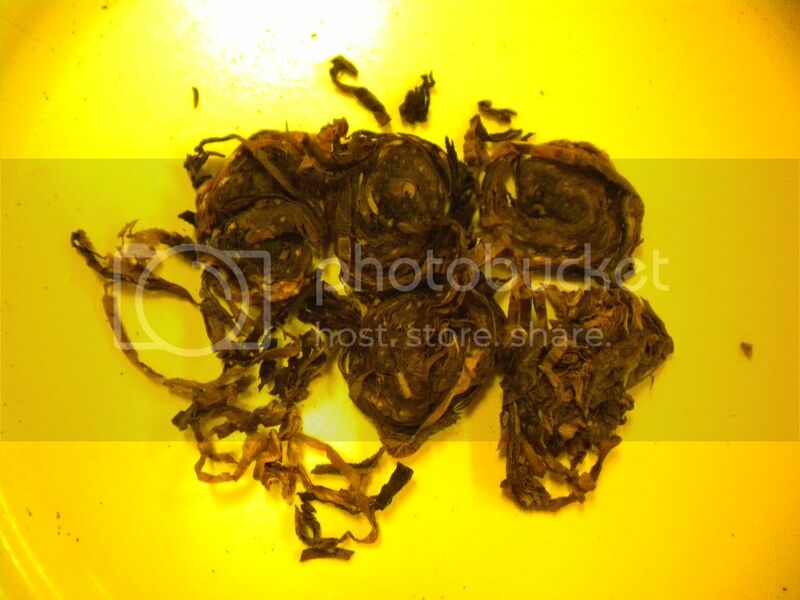 We will be reviewing the same tobaccos from the same pouch in most cases. Some are brand new and some have more than a decade of age. This will be a great opportunity to calibrate and refine my tasting. I hope you enjoy this series. I know I will benefit a lot by concentrating and doing these. This is a review of the current incarnation. Listed as Virginia with dark Kentucky. No Periques. Smoked in an old Kaywoodie supergrain with the stinger intact. 1) Aesthetics: the look of the tobacco - Curly cut into small coins. Coins here are about half the size of Escudos. Densely packed into the tin. It's hard to remove the coins intact. I count that as neither a plus, nor minus as I tend to rough up coin cut anyway. The lights and darks are well distributed. This is not a bullseye coin. The tin note is strong molasses. Reminds me of sweet horse feed. Very nice presentation. 2) Pre-light Construction: I dried this bowl for two hours. That was too much. It was easy to pack, if a bit too dry. I folded and stuffed the coins with ease. They crumbled, packed and lit easily. No casing or flavorings are detected. This is non-aromatic. Score is partially based on prior experience with this tin. 3) Post-light Construction/How it smoked: Smoked evenly, somewhat hot, but that is my fault for drying too long. Other bowls I have smoked were very cool smoking, even when getting carried away puffing. The ash is salt and pepper, turned white on relights. Very fine ash cap. There is some gurgling, but not as much as I have experienced with other tobaccos. As soon as I feel a gurgle, I disassemble, blow out the stem and run a pipe cleaner. This is my normal procedure. 4) Flavor and strength:Solid medium. Nutty, sweet, earthy with some decent spice. This spice was apparently designed for to replicate the missing perique. I love it. This is a very pleasant tobacco. There is a nice, warming nicotine hit. If I were to guess blind, I'd say it's a VA/burley blend. No latakia, or orientals detected. This one hits all the marks for me. I have no reservation giving it a perfect mark here. 5) Aftertaste/Finish: Starts with a spicy and peppery aftertaste. After a good ash cap develops, transitions to a calm nutty, wood and earthy aftertaste. Reminds me of the transitions in one of my first favorite cigars, the DPG cuban classic. That was the first cigar that "changed" for me while smoking. Score for aftertaste:4.5, though I don't know what would be better. 6) Aroma: Moderate aroma. Has pleasant smells. Nutty and sweet. 7) General Comments Good any time of the day smoke. Highly recommended. If you remember the old Three Nuns, clear your mind. This is obviously not the old one. Try it for what it is: similar in name only. I would assume if you like VA/Burley blends, you'd probably like this one. It is no secret that this is one of my faves. Curious to hear your thoughts on this one..
Up next is Hal O the Wynd if you have no objections. I'm thinking I'll have something posted mid-week. I thought I'd interject a few comments here. First, great review. I loved it. Horse hockey! First, you are not a newb to fine tobacco, just the pipe. Second, maybe the old smoker's palate is jaded and stale. Reviews are good for giving a perspective to a tobacco, and opposing reviews are excellent to compare differing palates. Not everybody likes the same stuff. For example, this is the first blend made by MacBaren that did not react negatively with my palate - normally the bit me like a rabid dog. I personally look forward to your reviews and comparing our thoughts! I am too am anticipating doing this. Some of those tobaccos I have not had open in a long time, so it should be fun to smoke these blends. And, aged tobacco is just so enjoyable to smoke. And it maybe is a good thing to have more than just one smoke of a particular blend before doing a review. And even better if done from a couple different pipes. I will probably revisit this blend and add to the review from the experience in other pipes. By the way, I smoke my first bowl in a Peterson Tankard. I am going to interject here, nothing about the reviews, but some advice to new pipe smokers. DO NOT DISASSEMBLE A PIPE WHILE STILL SMOKING AND/OR IF BOWL IS WARM!!! While nothing adverse MAY happen, a warm pipe is much more delicate than a cool one. Of course, a Kaywoodie with stinger is a different beast - which is why I always remove the stinger insert. But, even with the intention to unscrew and screw together, they are delicate smoking instruments. I rarely take my pipes apart, even after smoking. I only do so when the come up for their total clean and ream, which happens about every 15-20 smokes. It is good to see that we are finding some of the same flavors in this blend - we did taste similar. What is interesting to see is how we view those same flavors. And that is why seemingly opposing reviews are great. I love to learn the tastes and palates of different reviewers, for then I can watch for positive reviews from smokers with similar palates to mine and decide to try a new cigar or blend. I have a few BOTLs who, when they write that they love something, I have a good idea that I will possibly love it as well. So it is also my hope that others will add their reviews to what is posted here and in our other reviews. Good stuff! Keep em coming. Solid work guys. 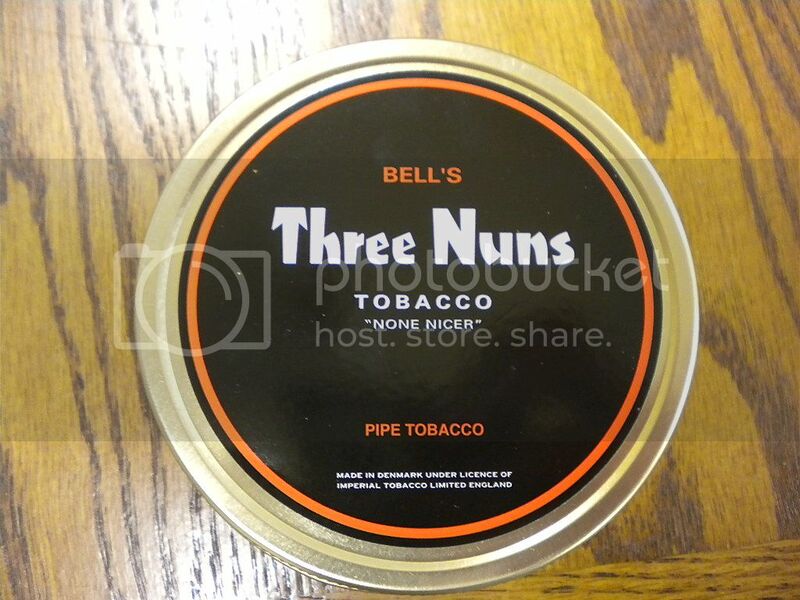 I had no idea there was a new Three Nuns out, i'll have to scope it out and compare to the old stuff. Do you have any of the old stuff - the stuff with Perique? I have a tin floating around somewhere yea. As I recall it came in coins like escudo. I've been eyeballing this blend for a while now. You gents are making me lean towards another TAD order. Very good review! Appreciate your taking the time to do so. I also find that stout beverages like IPA's and bourbon seem to take away from the mildest tobaccos. Same with cigars.